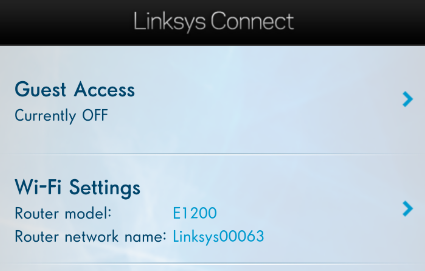 This article will show you how to personalize the Wi-Fi Setting of the Linksys router using your Android™ device through Linksys Connect. 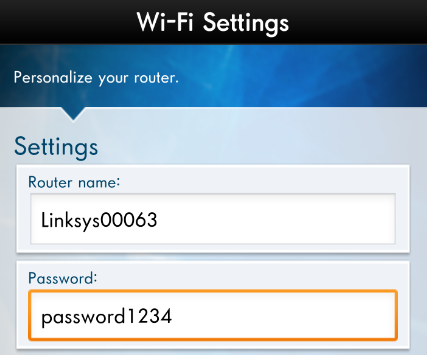 You can create a name and password for your router, or rename it and change the password. IMPORTANT: Make sure your Android device has an active internet connection and you have Linksys Connect installed in your Android device. To know how to download and install the Connect Express Software, click here. On the Personalize your router page, enter your desired Router name and Password on their respective fields. You should now have successfully personalized your Wi-Fi Settings.